2013 should be the year people begin investing in silver. Silver, unlike gold, is finely attuned to supply and demand. Silver is sometimes influenced by the price of gold or other precious metals, but it largely rises and falls on supply and demand. Silver has begun to rally after declining through much of early 2013. The rise in the price of silver is largely due to strengthening demand. Silver is used in a variety of industries. Silver is used heavily in the consumer electronics industry, largely in circuit boards. The circuit boards, like microprocessors, are increasingly in all the products people buy. The computerization of cars, home appliances, and even toys is expanding the consumer electronics industry and creating great demand for silver. The steadily improving economic news out of the United States promises to heighten demand for more traditional consumer electronics as well. The more gadgets people buy, the more silver is needed for its incredibly conductive powers on the circuit boards. The supply of silver seems to be stable, which is good news for investors as demand continues to climb. Investing in silver is a prudent move in late 2013. While gold is seen as the ultimate hedge is poor economic times, silver has also been a strong shelter for investors during market downturns. Silver, like gold, holds its intrinsic value. Silver maintains its purchasing power much as gold does. 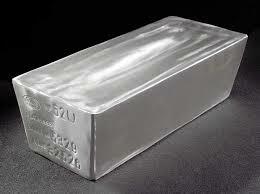 A bar of silver will not become devalued the way cash currency does during inflationary times. The Federal Reserve continues to adhere to its stimulus plan, in large part because of poor job growth. This stimulus is good news for gold and silver investors. Investing in silver offers people protection against the eventual downturn of the stock market. Many central banks have continued to flood the market with liquidity, even as economies begin to rise up from the 2007 worldwide economic downturn. This will eventually create severe inflationary pressure. The Federal Reserve is already struggling with what it will do once it faces inflationary pressures if the employment recovery continues to lag. Inflationary periods have consistently been times of bull markets in silver and gold. While many feel the days of a silver bull market are over, investing in silver now may gain an investor a great position when inflation brings other investors back to the shelter of gold and silver. Investors will also be able to enjoy gains in silver independent of inflation, as demand continues to grow and limited global supplies stay stable. The classic way to take advantage of the price of silver is to buy physical silver. One downside of owning silver in the forms of coins, bars, or bullion is the difficulty in storage and liquidity. However, it is best to own some silver in this form. Another increasingly popular way to invest in silver is through a silver EFT or silver backed IRA. These give the advantages of holding silver for the long term and avoid the inconvenience of holding physical silver. Many investors will find tax benefits to investing in silver in this manner. Another way to invest in silver is to buy mining company stocks. Silver mining companies are currently trading below the market. As the price of silver continues to climb, a savvy investing in silver strategy will be to own some mining stocks. These provide a lot of liquidity, but do not have the benefit of physical silver’s purchasing power retention. Investing in silver in 2013 will set up an investor for success in the years to come. A prudent strategy would be to own silver in a variety of forms, such as physical silver, IRAs, and mining stocks. This diversity will protect investors some from the ups and downs of valuations.